Is This Loan Modification Offer Legitimate or a Scam? 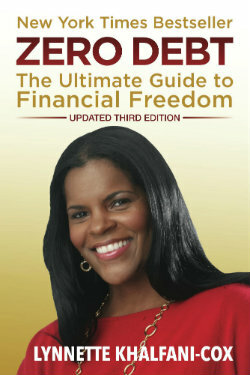 A reader of AskTheMoneyCoach.com is dealing with a potential foreclosure situation. Of course, they’re trying to avoid foreclosure. This individual is interested in getting a loan modification and has gotten an offer for help. The dilemma this person is facing, however, is, whether or not this company offering loan modification services is indeed reputable and legitimate. So let’s examine some ways that you can check out a loan modification company. For starters, you should check them out thoroughly, before you sign any paperwork or enter into any kind of written agreement. You should only go with a HUD-certified credit counseling agency. If you look online at HUD’s website, you’ll see a list of companies that are HUD-certified. These agencies are skilled in mortgage transactions. They’ll be able to tell you, frankly, whether or not you qualify for a loan modification, whether it’s through HARP or HAMP or any other federal government program, or something specific that might be offered from your lender. But do try to stick with agencies that are HUD certified. That’s your first line of defense. I would then take it one step further and check out the company or the entity’s Better Business Bureau rating. If you looked them up on the Better Business Bureau website and you find that they’ve got a slew of customer complaints, or that they’ve had a bad track record (and a bad rating from the BBB), then I would run, not walk, in the opposite direction. Don’t get involved. It’s just not worth it. The other thing that you should do, though, is to read the fine print very, very carefully. Unfortunately, a lot of consumers don’t do this. Right now you are thinking about saving your home. It’s likely the single biggest investment you’ll ever make. So you don’t want to cut corners here. You don’t want to take any shortcuts. Check out the fine print and see what they are saying—specifically, what they are stating they’re going to do. Are they going to negotiate on your behalf? Are they going to put together a loan package to your lender? Are they going to propose a repayment schedule? What exactly are they going to do? You should also ask: what fees will they charge, if any, for their efforts and for their services? There will likely be fees attached unless it’s a completely non‑profit agency that is either government-run or federally operated, and they don’t charge anything. When you do look at fees, you want to make sure that you are not paying any upfront fees whatsoever. It’s actually illegal for companies to charge you upfront fees before any services are rendered. You need to make sure that if you are going to be paying a monthly fee, or a one-time lump sum, that’s it’s a fee that you can afford, a fee that you feel is fair, and that it’s a fee that’s been fully and adequately disclosed to you. Those are the ways that you go about checking out a loan modification company. You should do some other practical common sense things as well. I would do a Google search of the company’s name, perhaps tied in with the word “complaints,” “consumer complaints,” “scams”—just something that would raise a red flag, and see if there is anything specific tied to that company or that organization’s name. Even that little online search via the Internet can sometimes pop up things that you might not have otherwise unearthed. 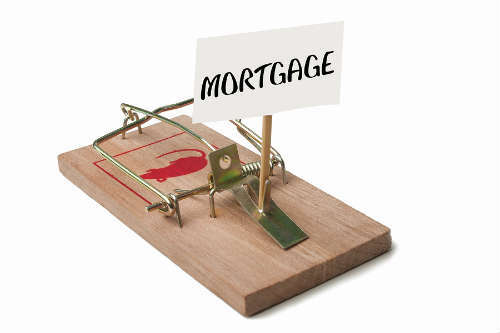 Best of luck to you if you are trying to avoid foreclosure. Unfortunately, more than a million people in the U.S. are currently losing their homes to foreclosure. I hope you’re not one of them.